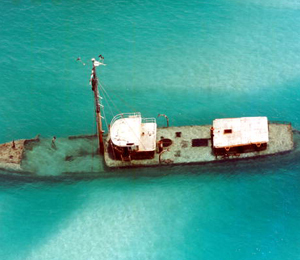 Amberjacks and the reefs and wrecks that surround Florida and the Keys seemed to be made for each other because amberjacks love reefs, wrecks and shallow water. 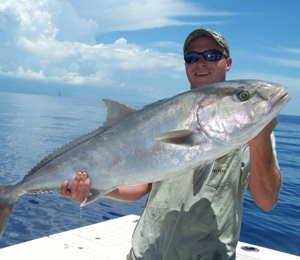 For the purposes of this article, we’ll be discussing the Greater Amberjack, a fish that’s plentiful throughout Florida and the Gulf of Mexico. Greater Amberjacks tend to have a bluish-brown back, with an amber stripe down length of each side of its torso. They usually grow to about 50-70 pounds (although 150 pounds isn’t unheard of). Fun Greater Amberjack fact: The female tend to be larger than the males because males often don’t live beyond age 7, while females have been known to live up to 15 years. These fish are aggressive predators and will look for prey near the top of the water as well as along the sea’s bottom. They eat herring, scads, squid and crabs. 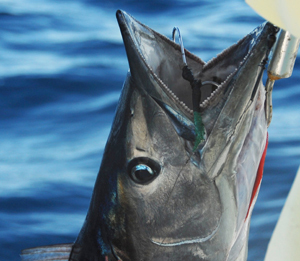 Blue Marlin Fishing Charters in Key West Amberjacks are so aggressive and strong that they’ve received the nickname Pez Fuerte (“strong fish”) in Latin America. When it comes to prepare your gear, go with 50-pound braid lines – you’re going to need to pull hard to make sure they don’t hightail it to the rocks or reefs once hooked. These fish will eat lures and baited fish. They can also be enticed to move closer to the water’s surface with chum. They will eat metal jigs. If near the surface, they’ve been known to take poppers (topwater lures). As for bait, use live baitfish. 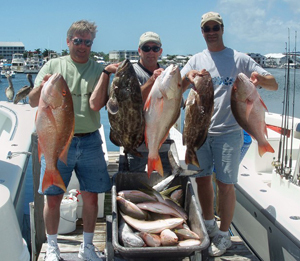 Pinfish work well in Florida (as well as other parts of the Caribbean). You also can use pigfish, grunts, cigar minnows, sand perch, and blue runners. Greater Amberjacks like to swim above a reef, so give your line just enough lead to keep your bait in the middle of the water column. These fish are extremely strong fighters and can fight for a long time. Therefore, it’s important that you have your drag pre-set to match your strength as well as the strength of your equipment in order to avoid losing or breaking your tackle.